The Christmas holiday season is rapidly approaching and EXIT By the Bay Realty has once again opened their doors to assist Toys for Tots of Calvert County to help as many children as possible have a festive Christmas. Please stop by our office at 222 Merrimac Court, Prince Frederick, MD 20678 to drop off your donation to be a part of this event. The annual toy drive kicked off recently and organizers are counting on community donations to help more than 1,000 local children in need this year. 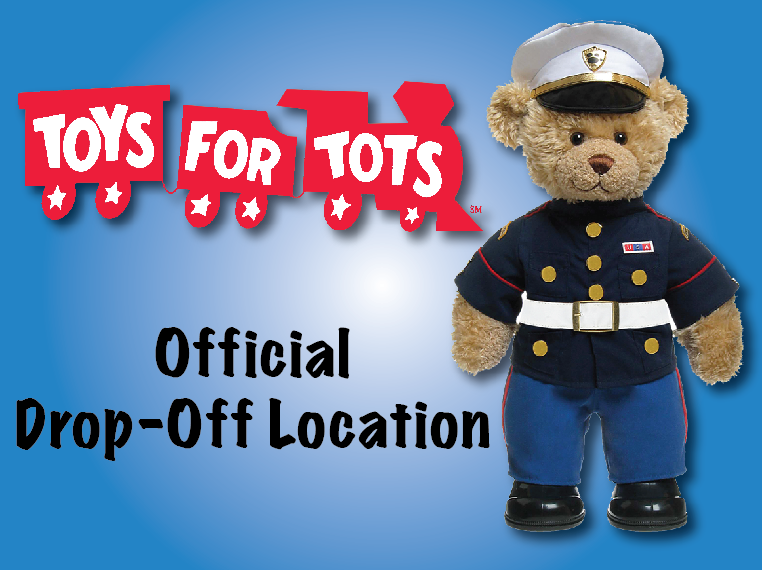 Residents can contribute to a local Toys for Tots campaign in several ways, including donating a toy at one of the local toy drop locations, making a monetary donation or volunteering at the local warehouse. New, unwrapped toys will be collected through December 11th at more than 60 drop-off sites located throughout Calvert County. If you are unable to drop by our office, monetary donations are appreciated as well and funds received are used to purchase toys wherever a shortfall exists. Credit card donations are accepted via the https://chesapeake-beach-md.toysfortots.org website. If you are interested in volunteering to collect, sort, count or distribute toys, books and stocking stuffers for 1,000 children, register at https://chesapeake-beach-md.toysfortots.org. In the past, there have been shortfalls in donations for the nine and older age group. In light of this, please consider donations of action figures, books, educational toys, jewelry, Legos, makeup kits, sports equipment, skateboards, and small electronics such as mp3 players, cameras and handheld video games. For families in need of gifts, registration for the 2018 Toys for Tots campaign closes Friday, December 7th, and can only be completed online at https://chesapeake-beach-md.toysfortots.org. Recipients must be residents of Calvert County and not already receiving assistance through the Department of Social Services Angel Tree Program. For more information about EXIT By the Bay Realty, please call 443-975-7555. EXIT By the Bay Realty is located at 222 Merrimac Court, Prince Frederick, MD 20678.